10 Richest Successful Yahoo Boys in Nigeria | 2019 Current Record. Successful Yahoo Boys in Nigeria… The identity of the top 10 richest yahoo boys in Nigeria are not known, but below will be a list of alleged big boys in Nigeria who live extravagantly and spend cash on items like latest cars and accessories. 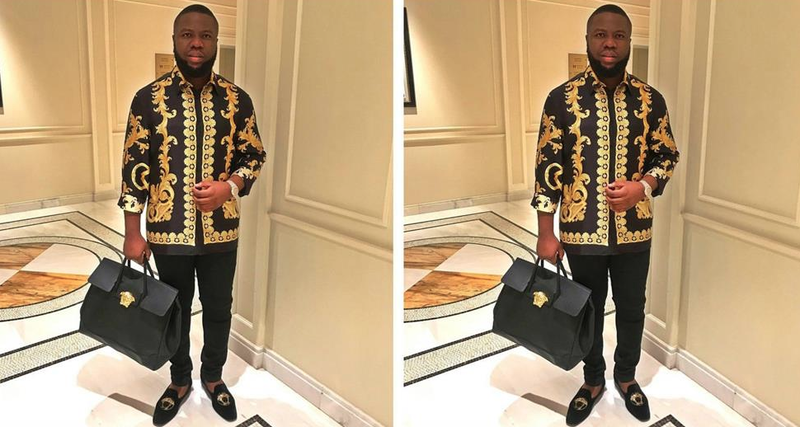 Hushpuppi showcases his popularity and wealth on social media which makes the public see him as one of the richest boys in the country. News has it that he hails from a poor family background but he became wealthy after having travelled to Malaysia for four years. He has a very active instagram page with many followers. He sometimes engages in social media fights with popular music artistes. He calls himself the “Gucci King” and claims to be their ambassador. He likes flaunting his expensive cars, houses, clothes, watches, etc on social media. Shy boss as the name implies, claims he used to be shy but now he is a socialite and lives an expensive lifestyle, flaunting photos of his cars, houses, accessories, wears on Instagram where he has over 180k followers. Mompha is known to be a rich businessman from Lagos State. He owns the Mompha Bureau De Change in Lagos State. He often displays photos of himself holding bundles of cash on instagram which oftrn leaves his followers speechless. His real name is Badmus Akeem but popularly known as Baddy Oosha. He is a Malaysian based Nigerian. He has acted a movie with Toyin Aimakhu and he has been mentioned in music by artistes like Olamide, Lil Kesh and 9ice. He is a Nigerian based in South Africa, he is popularly known as the Major of Capetown. He lives an expensive lifestyle although no one knows his source of wealth. He became more popular when he lavished N5 million on 1 Dom Perigon and 30 Ace of Spades in Lagos. His real name is Oluwasegun Akinola Opaogun. He is also one of the biggest boys in Ngeria. He lives an expensive lifestyle and showcases his wealth on instagram. He has also been mentioned in music by artistes suc has Reminisce, Small Doctor and 9ice. Aremo Gucci is a popular socialite with many instagram followers. He also lives an expensive lifestyle, likes to flaunt Gucci items on social media just like Hushpuppi. He owns plenty expensive cars and it is said that is house is exquisite. He tried hiding his wealth, but he couldn’t due to the way he spends. His real name is Adewale Adebayo from Ekiti State. He is a musician but he is not very popular. He earns money from his music sales; he also owns a music producing studio. He is a young rich guy who is heavily followed by his fans on instagram. This is also one of the biggest boys in Nigeria infact, can be considered to be the wealthiest amongst those mentioned here. He is a businessman and a Gucci lover. He considers himself to be the only recognized African representative of Gucci brand in Malaysia and this was abig blow to his opponent Hushpuppi. He is one of the Nigerian guys 9ice praised in his song “Living Things”. Deskid Wayne is the modest amongst these guys. He is a young rich guy living an expensive lifestyle but chooses to stay faithful to his girlfriend. He became famous when he lit the highest denomination of dollars on fire and uploaded it on social media.